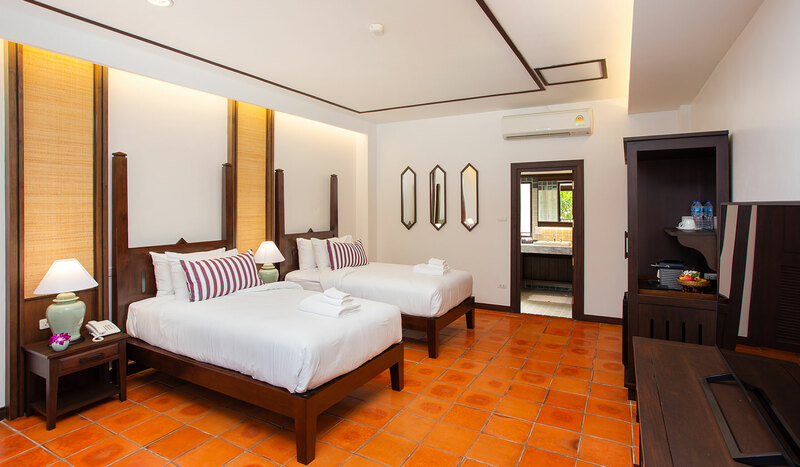 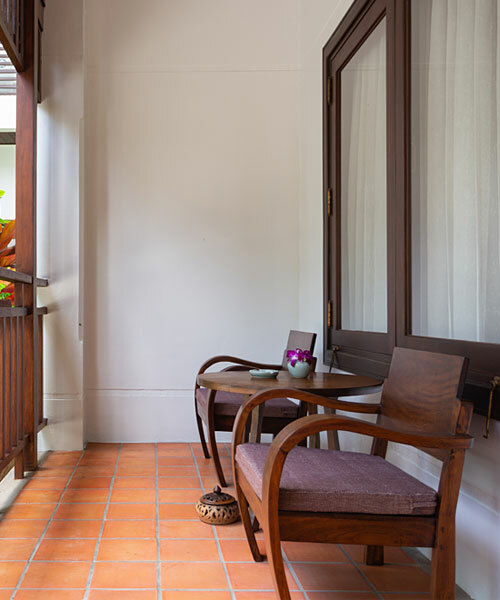 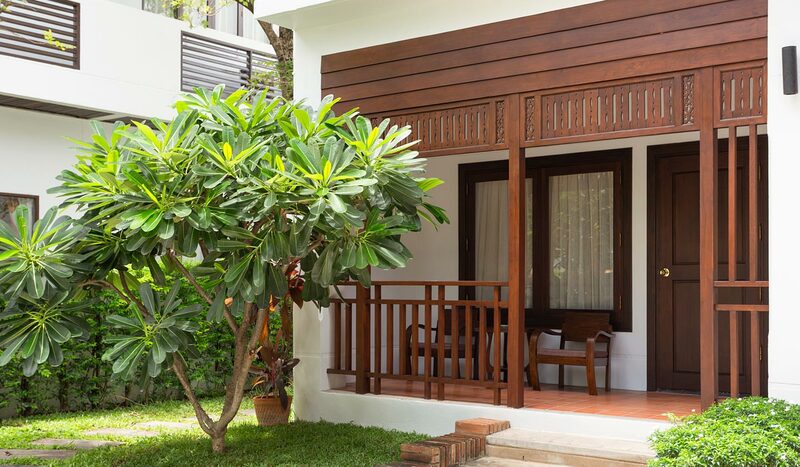 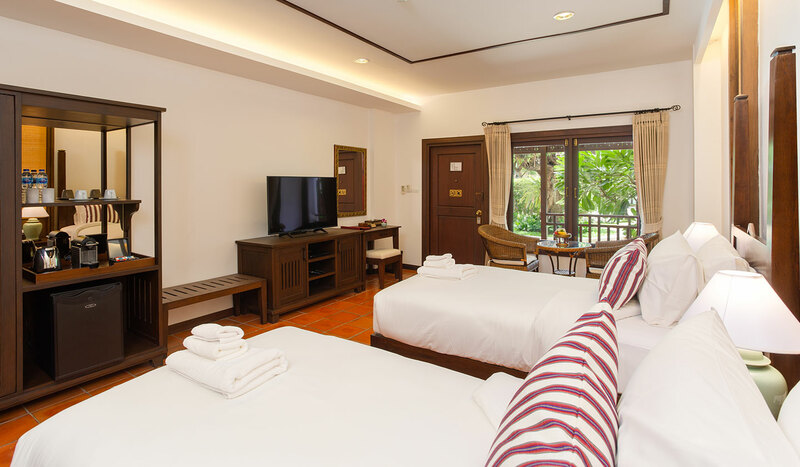 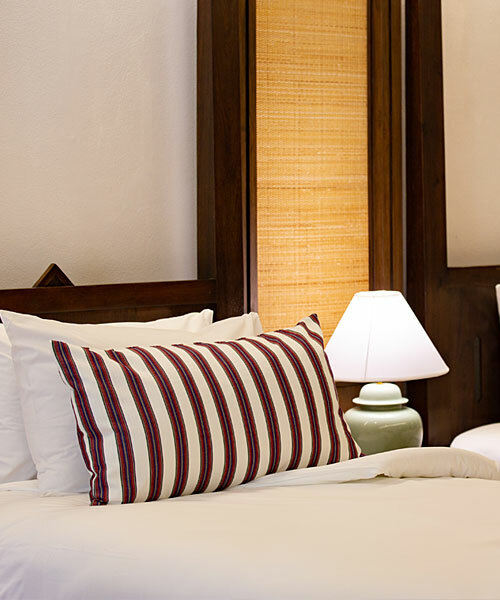 The Deluxe room is a lovely Lanna style guest room with a pleasant balcony or terrace where guests can sit and enjoy the green views of our Chiang Mai resort gardens. 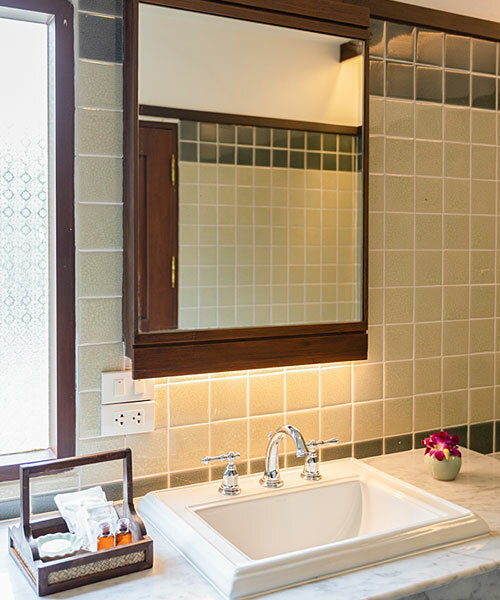 The 28-36 sqm room has extra space inside for a small sitting area and also features a larger bathroom and a bathtub to soothe away any aches after exploring the city, shopping and sightseeing. 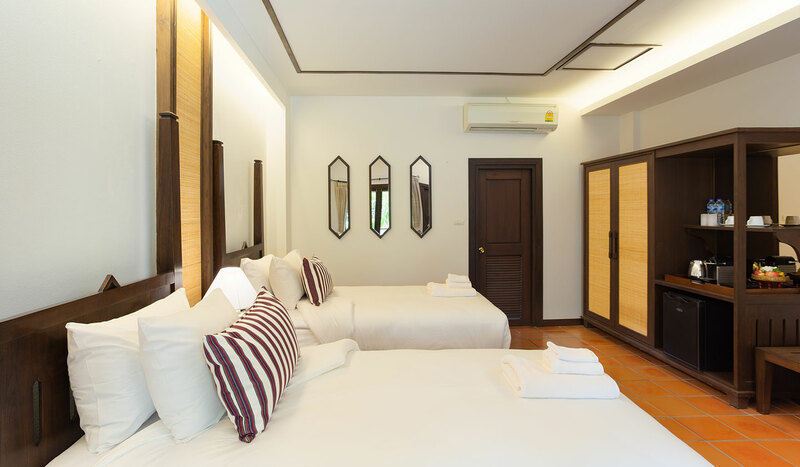 The Deluxe room can accommodate up to two guests in the double or twin beds, making it a great choice for couples or friends sharing.